I have a black mulberry (Morus sp.) in my garden (or 2 actually). According to the information I could find it is a deciduous tree. The trees in my garden do indeed lose their leaves. However, as most native trees start to color yellow/brown/red in september and have lost all leaves by now, the mulberry doesn't. It remains green until the frost kicks in and only then drops its (still green) leaves. It almost looks like it doesn't want to drop its leaves, but is forced to so so. This can be seen at the picture below. Hence my question: Is mulberry also deciduous in warm winters such as the mediterranean? And is it normal that leaves are still green when dropped? The trees are generally deciduous in temperate regions, but trees grown in tropical regions can be evergreen. WARNING: This answer is very tangential to the question. Confused Morus sp. with Rubus frutticosa (don't use "common name in questions"! luckily I wrote the answer using scientific names). So, as addendum: some trees tend to lose some leaves later (in my region, such trees can recover easily with broken branches). "Always" is "always" a strong word in biology. You describe your mulberry (Rubus sp.) as deciduous: the leaves are changed every year. Many plants (especially trees) lose leaves in autumn/winter and they get new one in late winter/spring, few plants are marcescent, e.g. various oaks (Quercus sp. ), so the leaves dry in winter and the plant lose it just when the new leaves appeaers. Some plants lose the leaves in summer. Mulberries, like various "small plants", tend to keep the leaves until they form the new one (eventually, replacing all the shot). In my zone mulberries tend to keep old leaves until the new one are already developing. Why this habit? Mulberries lives at borders of forests, so they try to have more energy/sun when the tallest tree lose leaves. On the other hand, being shrub and tending to radicate easily, it keeps safer in case of frosts, and it is also not a long living organism (as "plant", not as clone). Note some decidouos young trees have also the same habits: they keep their few leaves in winter, to try to catch up. Being young also means few investment for the original plant, so it could be still a gaining habit. Look this winter on undergrowth. Not so different to strawberries and many grasses, which replace the leaves in springs. But they are not "decidouos", just because they doesn't have a trunk or just they replace the entire shot the shots. What controls leaf senescence in deciduous tree species, and how can I predict it? What determines the autumn leaf color? What is the mechanism behind plants losing their leaves? 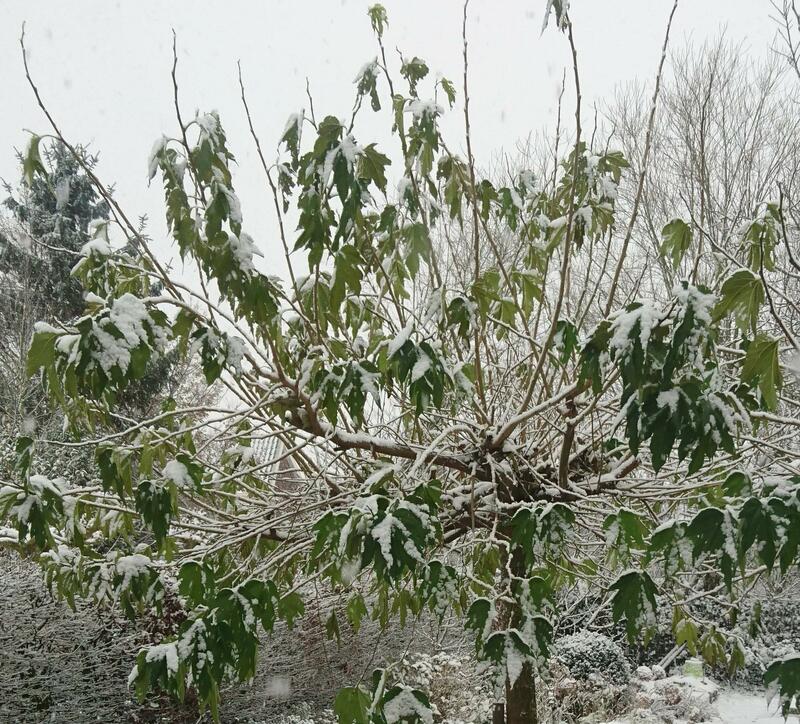 What happens when you take a deciduous tree and place it in a climate controlled greenhouse? Do Black Pepper and Black Nightshade share specific characteristics?